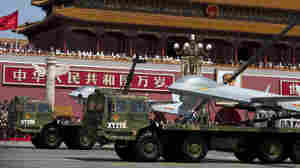 September 3, 2015  More than 12,000 precision-drilled soldiers, 500 pieces of military hardware and 200 aircraft filed through Tiananmen Square. 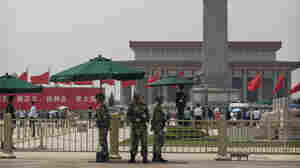 June 4, 2014  On the anniversary of the massacre that broke up pro-democracy protests, China is quashing attempts to mention the fateful date, with heavy security and online monitoring. 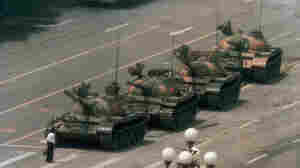 June 3, 2014  Suppressing its own people with tanks and guns 25 years ago was a pivotal act of modern China. Beijing hoped economic prosperity would make people forget. 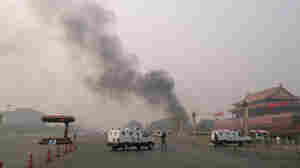 But the legacy of Tiananmen remains potent. June 1, 2014  Students were the driving force behind the 1989 pro-democracy protests in Beijing. 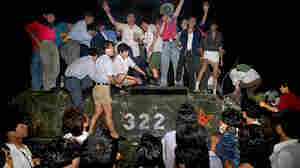 China's youth now have other worries, the events of 25 years ago forgotten and buried by time and the government. May 20, 2014  A bullet to the head killed Zhang Xianling's son near Tiananmen Square on June 4, 1989. Since then, she has led a group demanding the truth and accountability for those deaths.